I love apples (maybe because they begin with “a”? ), and I love baked apple delights — apple pie, apple crisp, apple turnovers… But my roommates recently turned “macro” on me (macrobiotic… it means they now only eat kale, seaweed, and things with weird names), and I feel bad filling the kitchen with the beautiful aroma of buttery pie crust and cinnamon laced apples, knowing that it will drive them nuts and that I will have to eat the entire pie myself. So I started thinking of kinder, less aromatic ways of enjoying my favorite season’s favorite fruit. My neighbor almost always has half a left-over rotisserie chicken from Costco that she wants to give me. Bored of turning it into regular-old chicken salad, I saw an opportunity to use some of the delicious Jonah Gold’s I picked up this weekend at the farmer’s market. Season the chicken with the salt & pepper, add the mayo, dill and nutmeg, and incorporate well. 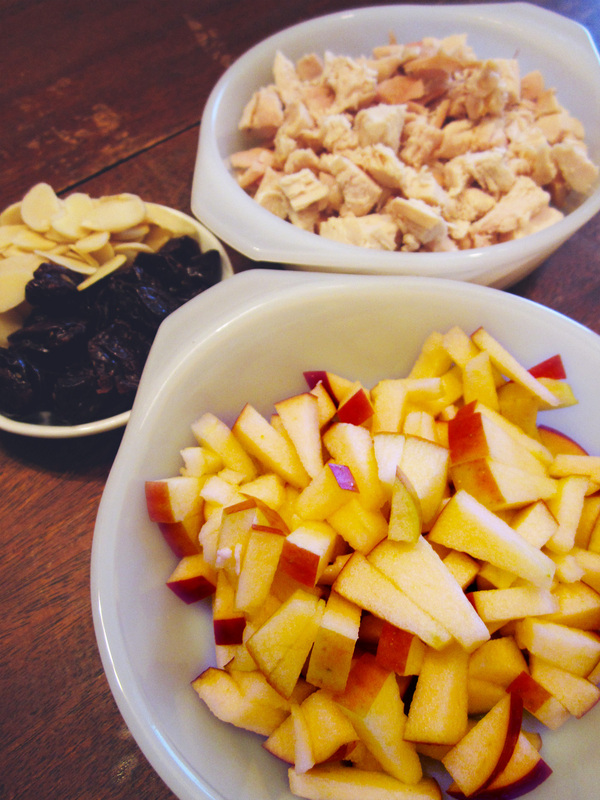 Add the apples, almonds, and cherries and mix until evenly distributed. I let it sit in the fridge for about half an hour before making up the sandwiches. 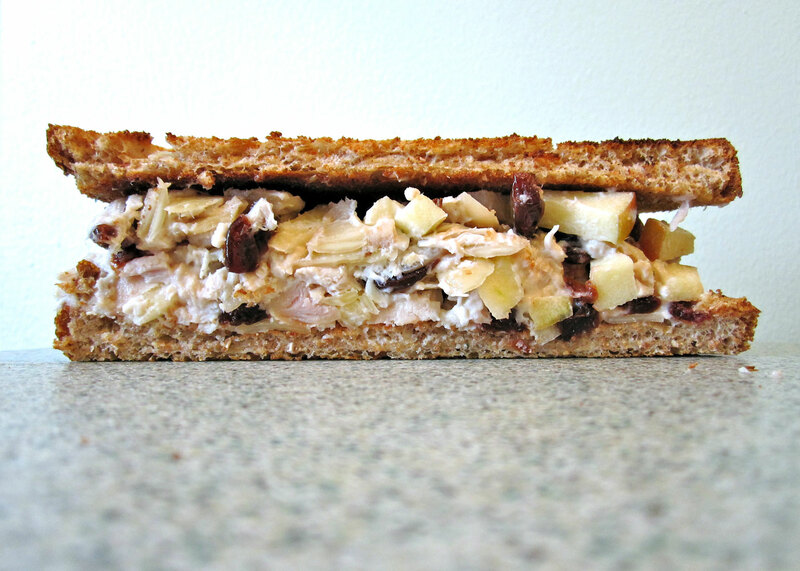 If you want to get a head start, you could mix the chicken and mayo the night before, and then add the apples, almonds, and cherries just before serving – you don’t want those getting soggy or turning colors. Toast your bread, assemble, and devour! 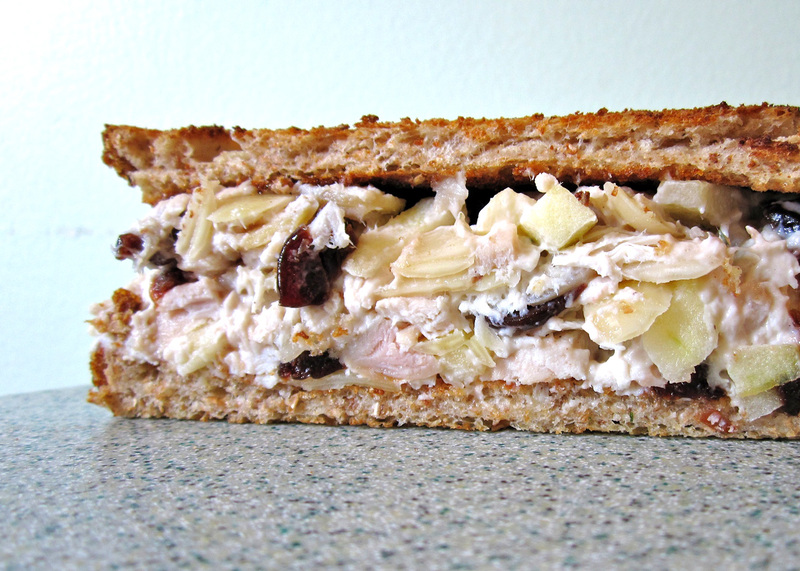 I just made this with a left over store bought roasted chicken and it is DELICIOUS! 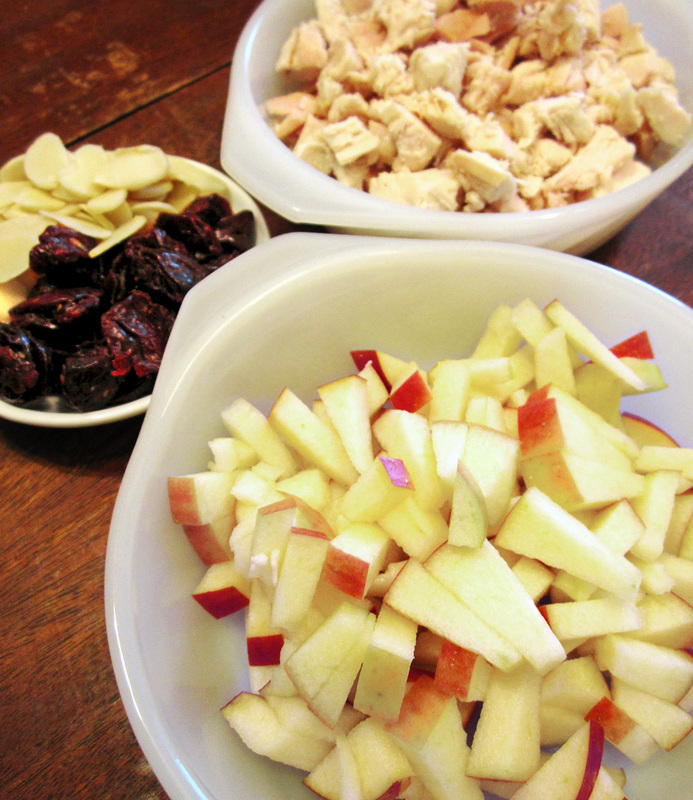 So easy too…nice that pretty much every ingredient is a staple in my kitchen too. Plus, it took no time at all. This will definitely become a go-to recipe for chicken salad. glad you enjoyed it! and thanks for making me hungry for it again – i think i’ll make it for lunch tomorrow!